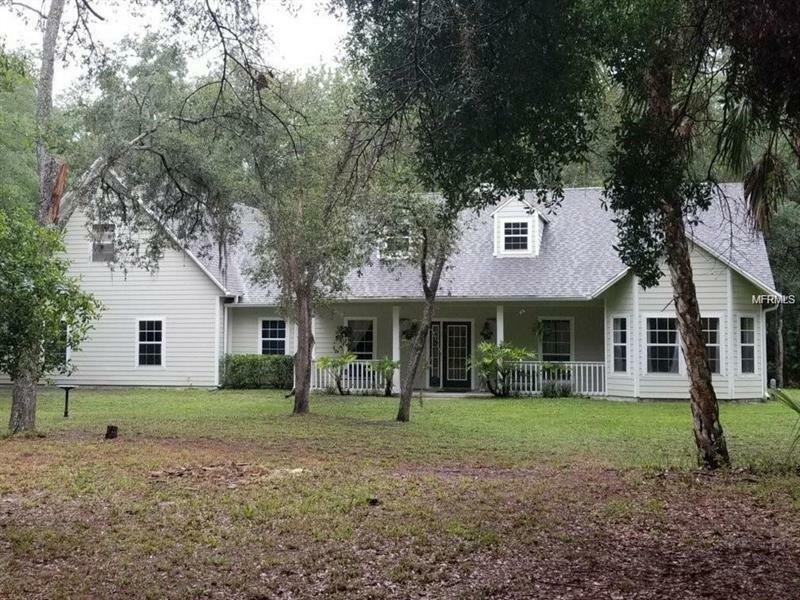 Country living within minutes from downtown Oviedo and the 417. This home is located in the much sought after area of the BlackHammock Community. Mature trees abound within this 4.31acre fenced in property. A 2868 square foot home with a four bedroom, 2.5 bathrooms awaits you. There is also an entertainment room over the top of the two car garage on the main house. For the handy man, there is a separate two car garage/workshop for their on going hobbies or car repairs. Have a seat in the screened in back porch and watch the deer and wildlife roam your property. Peacefulness is in store for you after the hard days work. This property is divided in half by a fence so a pasture for your horse or other livestock is already in place. A nature path to the BlackHammock trail is at your driveway gate. Your "Peaceful Paradise" awaits you!